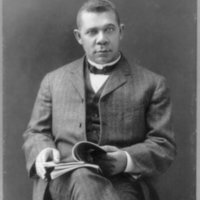 Photograph of Booker T. Washington, who graduated from the Hampton Normal and Agricultural Institute. 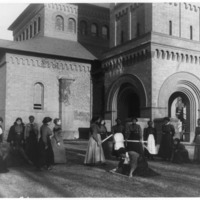 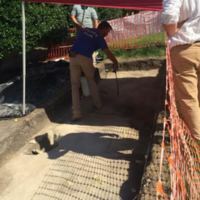 Photograph showing the results of a dig for the Hampton History Museum on the site of a "Contraband" camp. 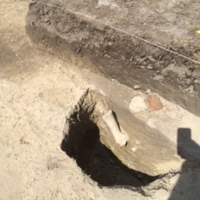 Holes like this were used by slaves to store personal belongings. 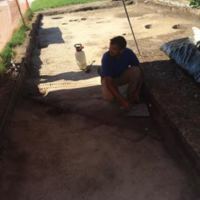 Man participates in the dig for historical evidence of the "contraband" camp in Hampton, Virginia. 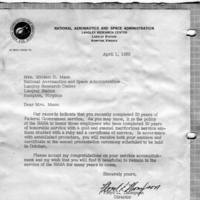 Girls measuring piece of ground in arithmetic class at Hampton Institute, Hampton, Va.
Letter signed by NASA director Floyd L. Thompson congratulating Miriam D. Mann on 20 years of Federal Government service. 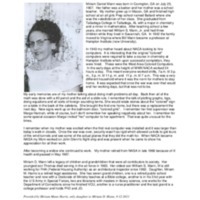 The letter is dated April 1, 1963 and describes the award Mrs. Mann would receive at the ceremony in October 1963. 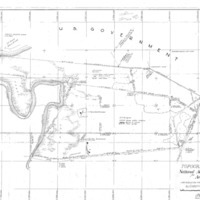 Survey map of Chesterville Plantation in Virginia, 1951. 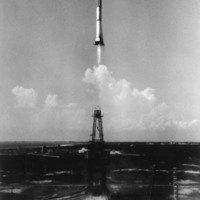 Launching of the Mercury-Redstone 3 (MR-3) spacecraft from Cape Canaveral on a suborbital mission. 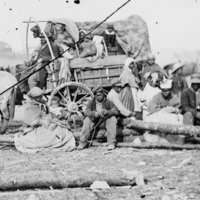 Slaves on their way to the Great Contraband Camp in Hampton, VA.